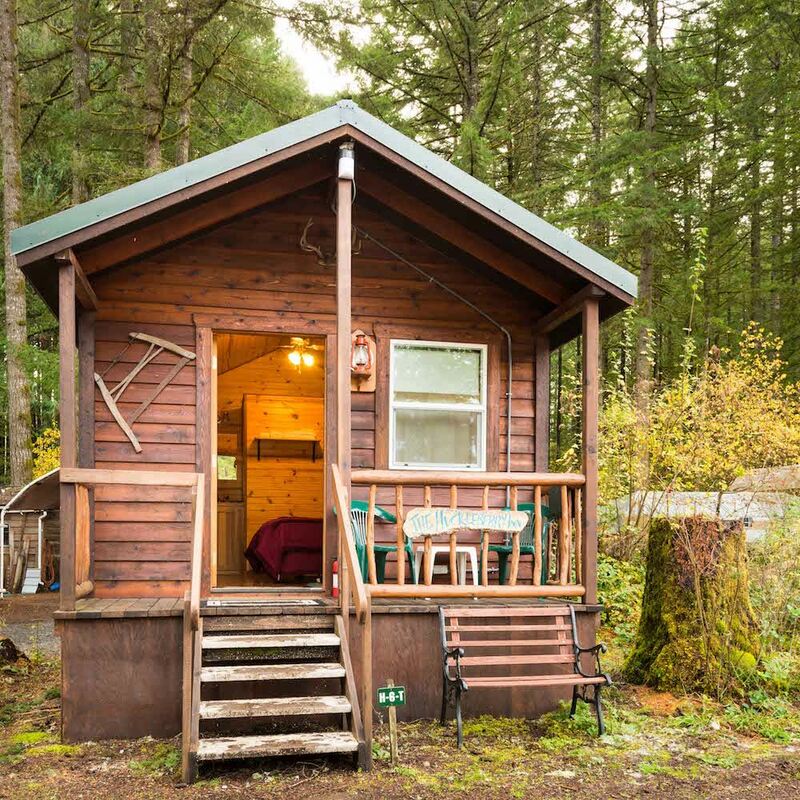 An adorable cedar cabin with a small covered porch nestled among the trees. 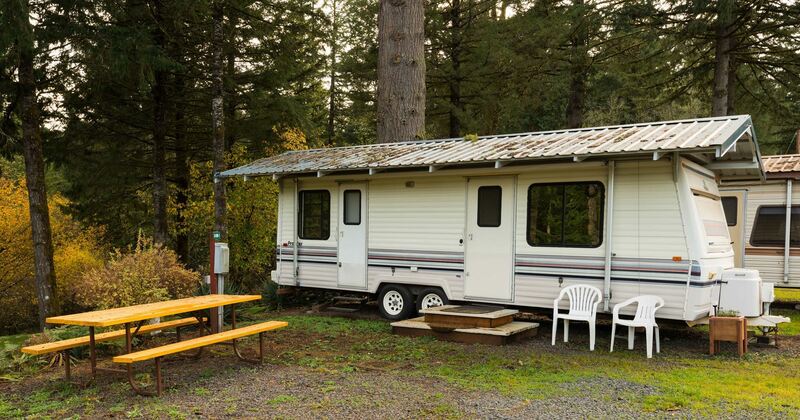 It has a queen-sized log bed, table and chairs, sink, microwave, coffee maker, small refrigerator and a handicap-size bathroom with shower. Rental prices do not include ground fees. 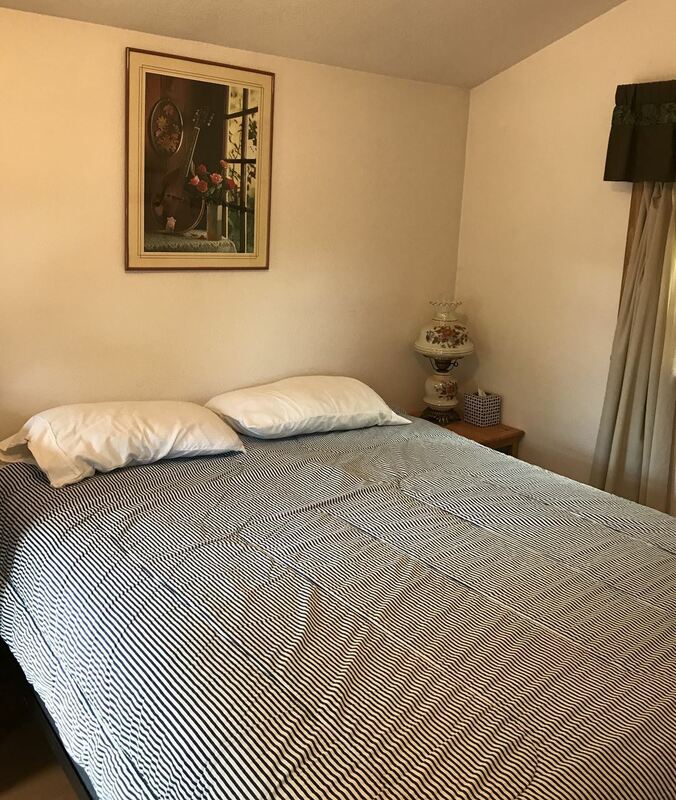 Pillows, blankets, linens, kitchen towels provided. Bring your own bath and pool towels. 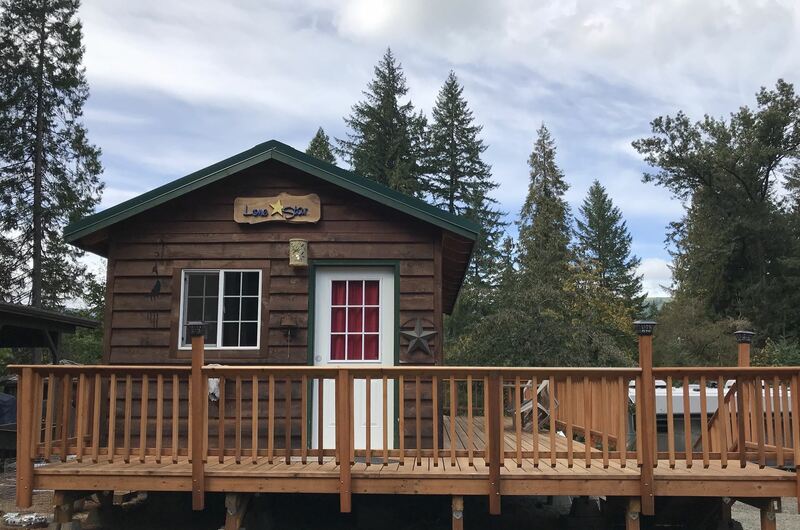 Picturesquely located a top a hill with beautiful views of the mountains and the pool area, our newest cabin accommodates four guests with a queen bed in the bedroom, living room with couch, bathroom and kitchen area that includes coffeemaker, microwave and small refrigerator. 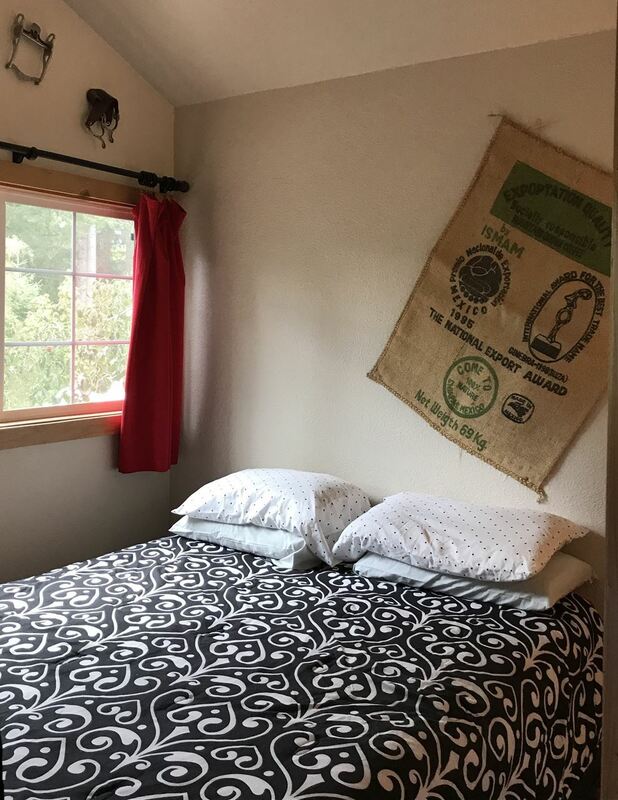 It features Southwestern decor. 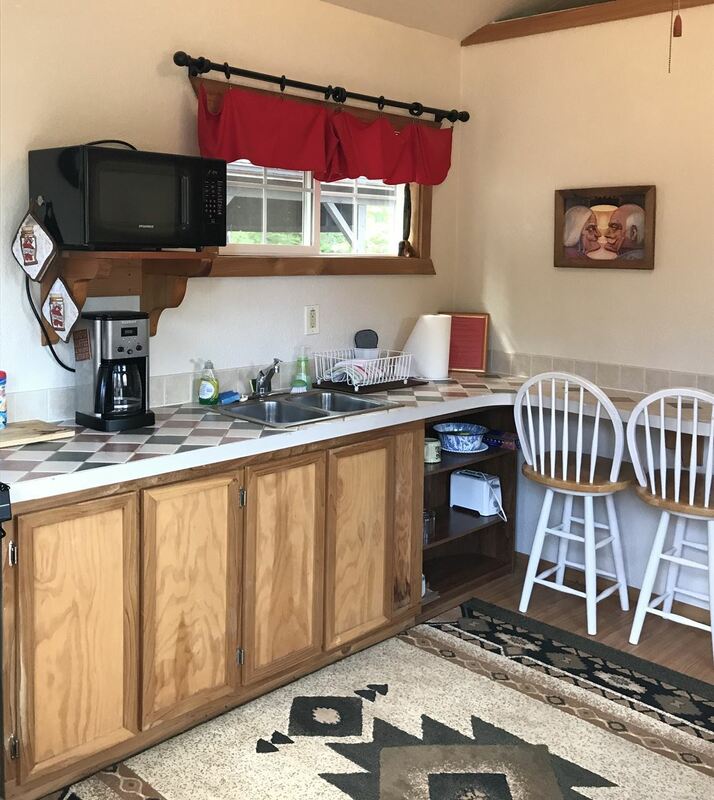 This cedar cabin is ADA compliant with wheelchair ramp, front covered porch, queen bed and kitchenette that includes microwave, coffeemaker and small refrigerator, ADA bathroom and lots of room. Located near the Cafe. The Blue Moon is cute and rustic looking. 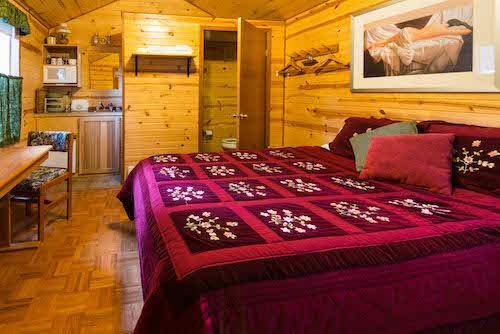 This cedar cabin is well appointed for comfort with queen bed, oak table and chairs. The throw rugs on hard wood flooring give it a homey look. 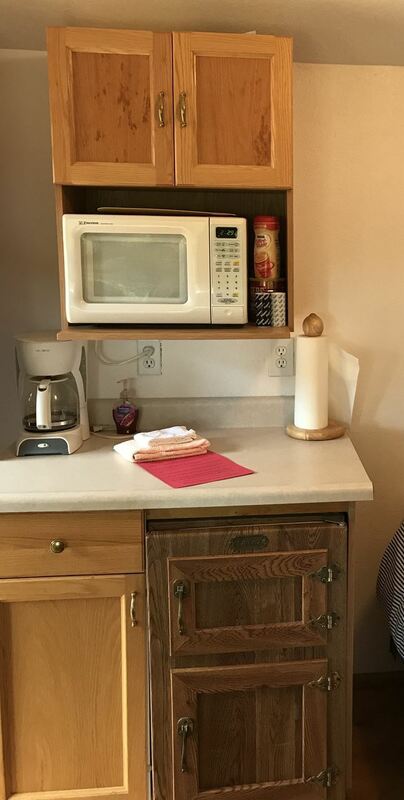 A microwave, coffeemaker and small refrigerator are provided for your convenience. A small covered front porch to sit and enjoy the sun. No bathroom is provided. 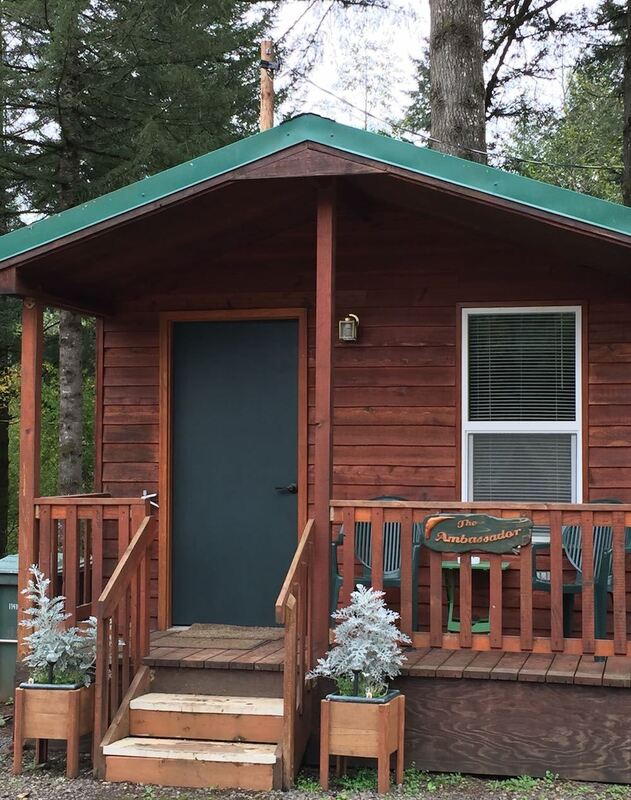 Guests can use the Lodge facilities just steps away. 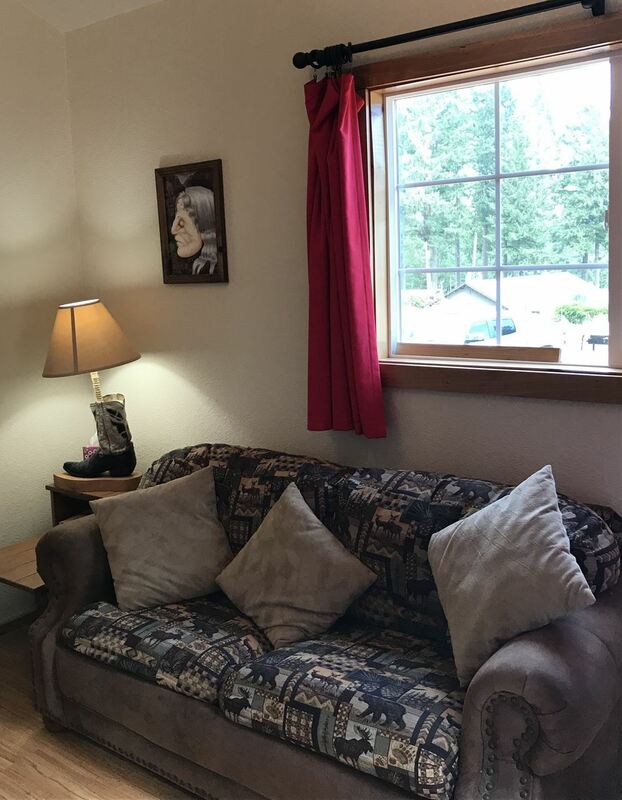 Located in our Gatehouse/Office complex, this comfortable private bedroom for two has its own full bathroom, private entry with covered deck with table and chairs, cable TV, microwave, coffeemaker and small refrigerator. Nice location away from the crowds. 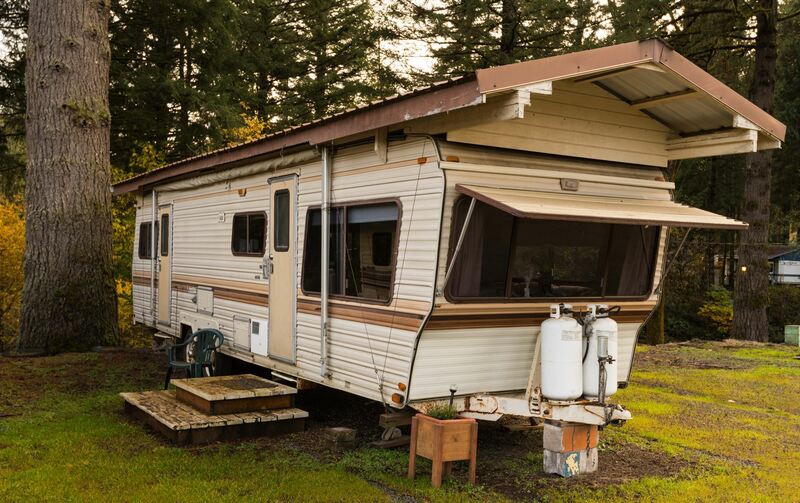 This travel trailer is fully equipped and spacious enough for four guests. 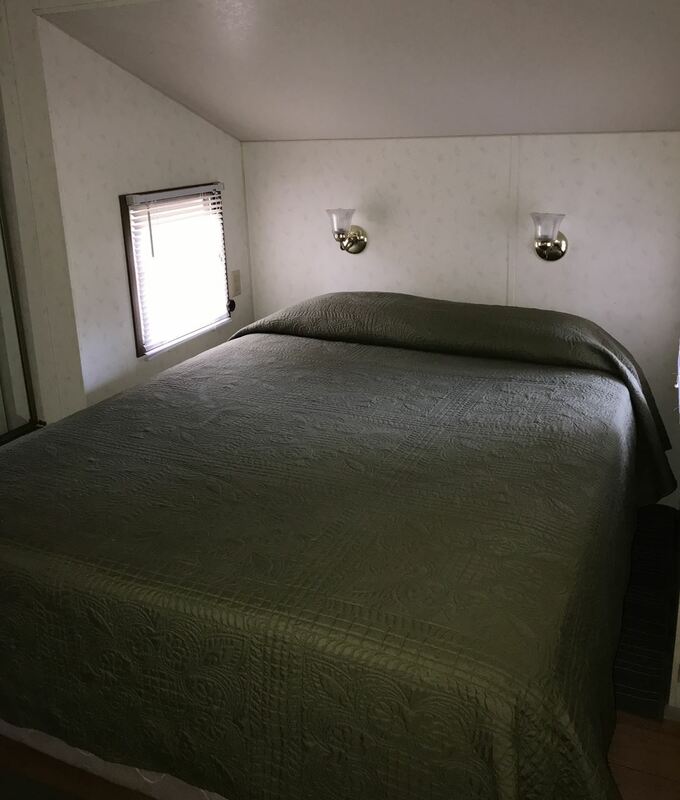 It includes a queen size bed & sleeper sofa in the living area. 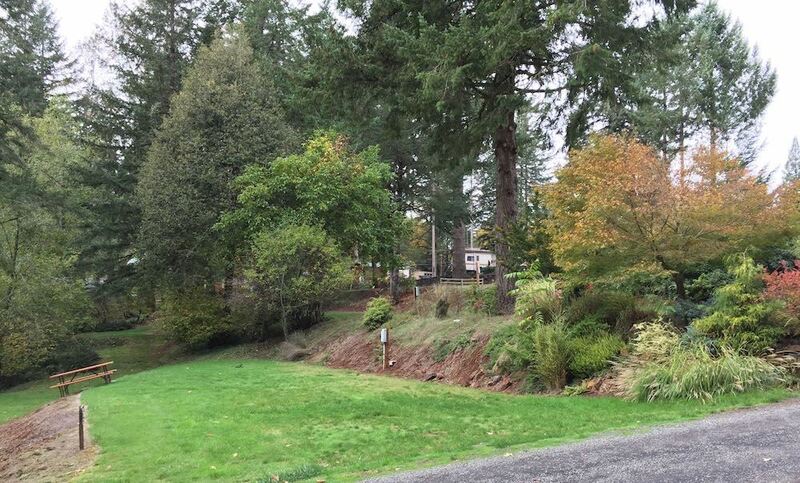 It is conveniently located near the cafe, sports areas, Lodge, Fireside Inn and Tavern. Add $5 per visit if you bring a pet. 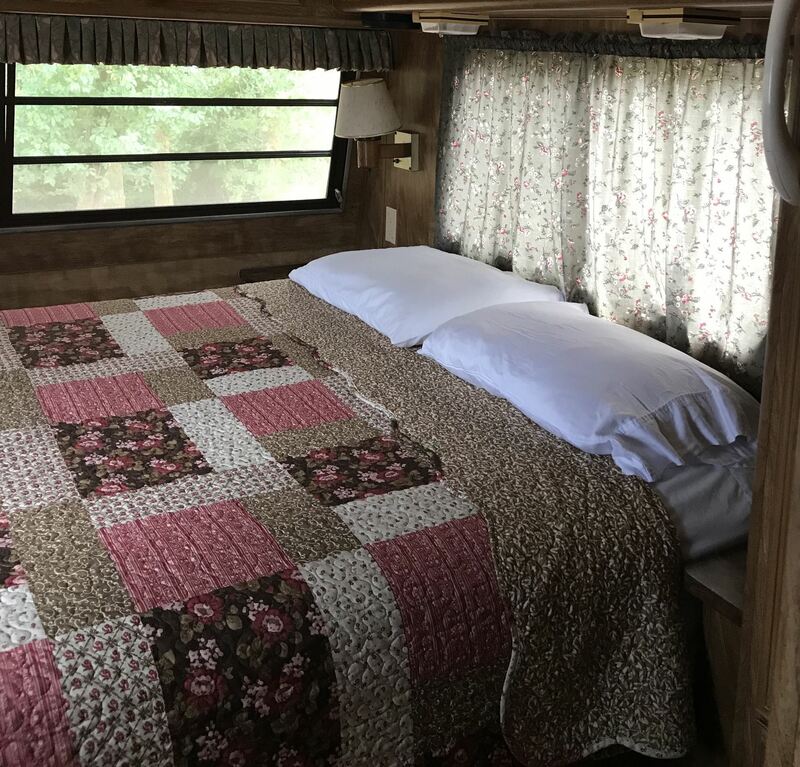 Willamettans is pet friendly and welcomes pets in our rental trailers and at our campsites. A fenced dog park is available for dogs to run free. All rental units are Non-Smoking. 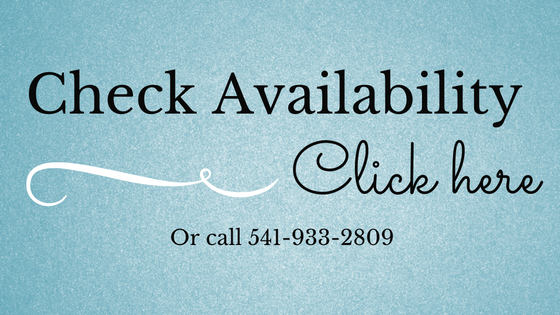 October 1 thru April 30 - $5.00 per night discount on all rental units. 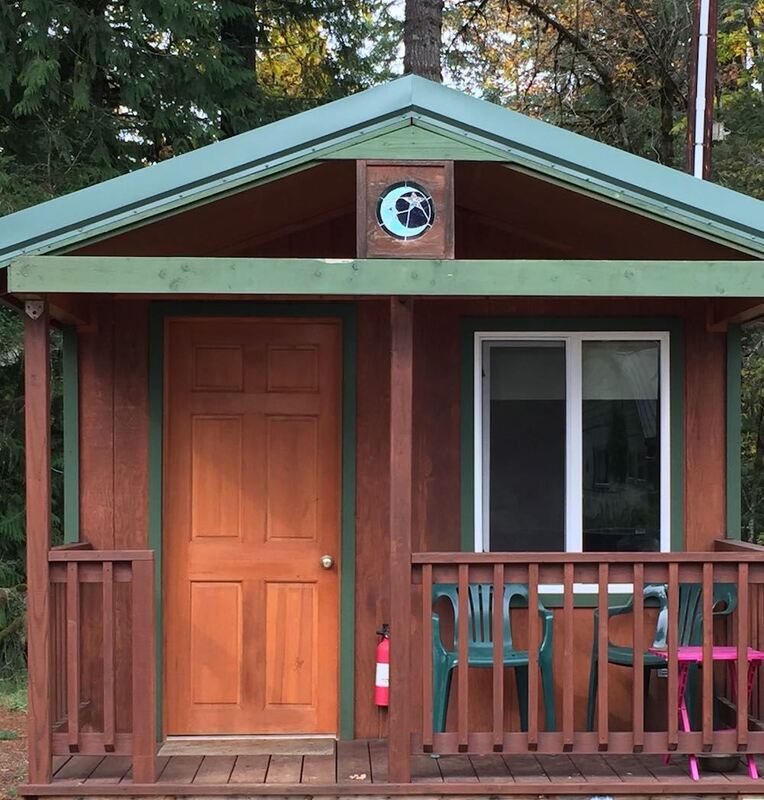 Daily cost for use of facilities includes use of pool, hot tub, sauna, showers, lodge, fireside and outside use of hiking trails, volleyball, pickle ball and other outside activities. Click here to take a look at our resort highlights. Children under 18 are free with an adult.